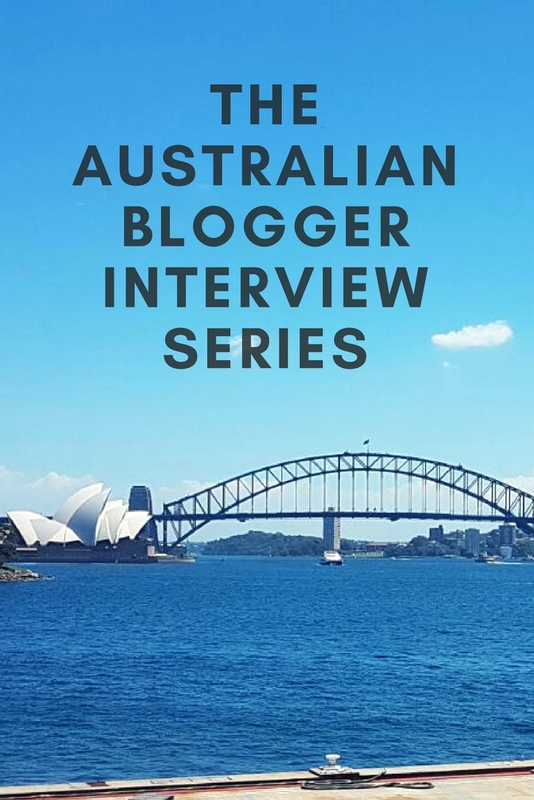 Welcome back to The Australian Blogger Interview Series. Tell us a little bit about yourself- approximate age, job description, background, location etc. I’m in my 30s but I’ve been interested in making and growing money since I was a child. I was running a successful cottage industry selling hand-painted terracotta pots to classmates by the age of 12. Thanks to my dad, I was introduced to daily buy and sell movements on the stock exchange in my early teens. I’ve had a varied professional career, with roles in education, finance journalism, research and now marketing. 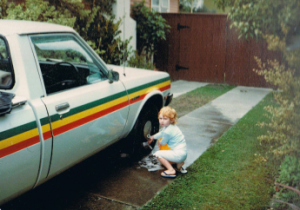 I have been living in Sydney for nearly ten years, but I’m originally from New Zealand. I began Miss Money Box in earnest in July 2016. However, I’ve been thinking about starting a personal finance blog, aimed specifically at women, since about 2010. For whatever reason, mostly linked to imposter syndrome, it took me seven years to finally do it. I’m not aiming at early retirement particularly, though I think it would be nice. I’m mostly aiming to live comfortably in retirement and not have to worry about money like my grandparents did. Check out Miss Money Box on Facebook. I hate debt and have (mostly) always lived within my means. I paid off my student loan as quickly as I could. I don’t own a credit card. I have basically saved, invested, saved more and invested more throughout my working life. I like the share market. It’s fun, a bit risky and doesn’t require the commitment that home ownership does. I’m sure in Sydney there’s probably still money to be made in joining the investment property bandwagon, but the stress of having to deal with tenants, maintenance, real estate, tax and insurance costs is enough to steer me back online to my brokerage account. Buy a diverse range of shares, invest in index funds, salary sacrifice into superannuation. That pretty much covers it. It’s only been over the last year or so that I’ve gotten into Exchange Traded Funds, which I wish I’d known about long ago. 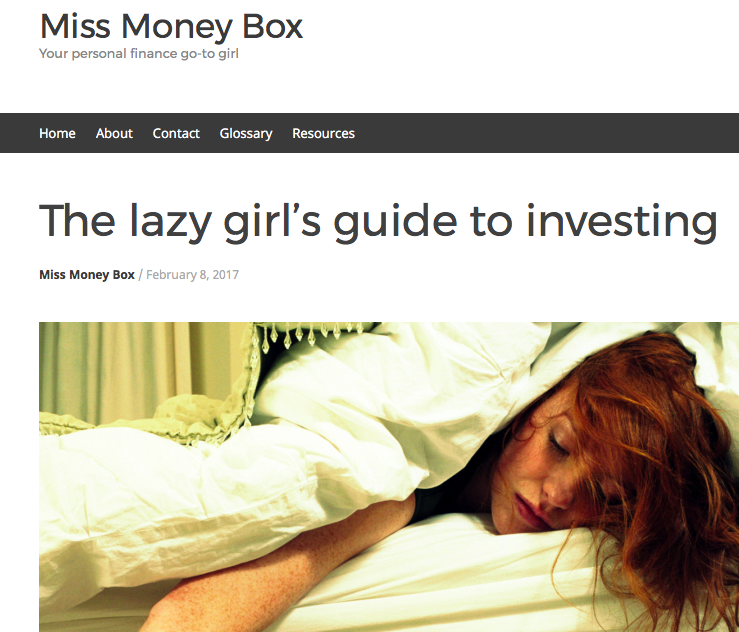 Miss Money Box wrote a great post on investing. I think women in particular face major challenges with financial independence – mostly through lack of knowledge, motivation to learn or feeling locked-out of the finance industry. I started Miss Money Box in order to explain in general terms what women’s options are, specifically around investment and superannuation. I think there is a real mansplaining of personal finance by the industry that drastically needs to change. My Dad. You can read all about him in my first ever blog post. 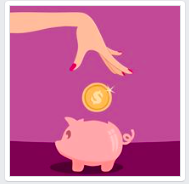 Check out the very first post written by Miss Money Box. I’m a big advocate of living within my means, but I also like to enjoy life and spend my money on doing fun things. I think there are pros and cons to both. The absolute best thing is hearing stories from readers and friends who have read my blog and put what I’ve written into practice. It’s the reason I write Miss Money Box and my number one motivation for continuing to do so. Travel. Sleep. Eat. Do moderate exercise to counter the copious amounts of sleeping and eating. I don’t own a house or a car and the most expensive item I probably own is my bed. I spend most of my spare money on travelling because I think life is too short to not experience all that the world has to offer. Mostly, yes. My friends and colleagues are super supportive and seem to really be interested in the content I’m writing. It makes me so happy and I’m really grateful for their support, blog post suggestions and general interest in what I am doing. Educate yourself. It’s an investment in your financial future. Thanks so much for being an interviewee Miss Money Box! We look forward to sharing more interviews with you soon! Thanks for including me in this initiative! 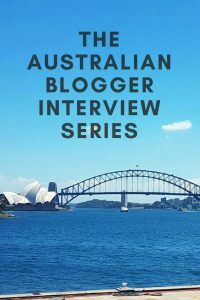 This is a fantastic way for readers to become acquainted with other Aussie personal finance bloggers. Thanks for introducing us to another great Aussie blogger!